When Bruton Smith talks, everyone listens; and Sunday was no exception. Popping up just prior to his track's main event, Smith spoke to the media as newly purchased New Hampshire Motor Speedway prepared for the first NASCAR Sprint Cup Series event under the Speedway Motorsports, Inc. banner. As usual, all ears were in Smith’s direction as he and NHMS General Manager Jerry Gappens addressed the packed room. The future of the race track was in question, and these two were just the people to provide either comfort or chaos to thousands of New England racing fans. But once they finished, the motives for Smith's press conference were clear; rumors of the Speedway's demise were greatly exaggerated. Instead, Smith has big plans for the 1.058-mile oval that he purchased from Bob Bahre last November. Kenny Wallace Driver Diary: Drive the Hell Out of the Car–But Don’t Wreck It! June 26, 2008 Amy Henderson, Xfinity Comments Off on Kenny Wallace Driver Diary: Drive the Hell Out of the Car–But Don’t Wreck It! My very first Nationwide start was in 1988 at Martinsville, Virginia. NASCAR told me they wouldn’t allow me to run Daytona unless they took a look at me and see me race. My Mom and my wife, Kim put together a portfolio of what I’d done and part of that portfolio that I sent to NASCAR was that I ran ASA at Michigan and Milwaukee, so I’d been on mile and mile and a half tracks. But still, NASCAR wanted to see me race. So my brother Rusty and Dale Earnhardt have always been good friends, and they put together a ride for me, and my very first Nationwide start ever was in the No. 8 GM Goodwrench Chevrolet at Martinsville. It was awesome. CoT Myths: Busted or For Real? June 19, 2008 Amy Henderson, Cup Series, Holding A Pretty Wheel Comments Off on CoT Myths: Busted or For Real? NASCAR might as well be racing Sherman tanks. To hear the teams, media, and fans lately, that doesn’t seem to be far from the pervading sentiment. While the new car does need to see some changes, there are also some perceptions that are simply not supported by the data we have. Some of the perceptions are also true. The bottom line is, the CoT is a mixed bag-but don’t believe everything you hear. *Myth: There’s no passing * *Reality:* While the drivers may complain that it’s harder to pass with the new car, there is plenty of passing to be had. It may not be for the lead and the television cameras may not show the racing effectively, but there is passing going on. 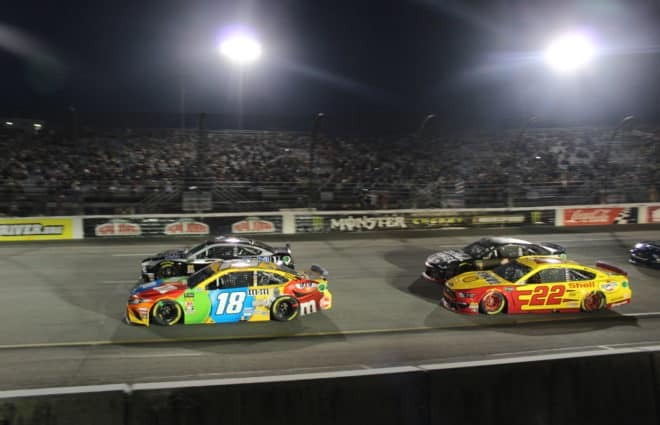 There has been a lot of talk this season about NASCAR’s declining ratings, and, if fewer TV viewers is a valid indicator, declining popularity. Fans say they just don’t care as much as they used to, that the races aren’t exciting, that the television coverage is subpar. NASCAR blames anyone they can-except themselves. The really sad part is, NASCAR either had the opportunity to fix many of the things that fans have cited as reasons for leaving and refused, or whistled innocently and pointed the finger anywhere but at themselves. Thinking about what the real problems in the sport today are, and how easily they can/could have been fixed, makes me really wonder. Not that NASCAR has done anything to make us think they actually care about the fans, but sometimes it seems as though they only keep some things in place to save face and not look stupid. What, exactly is wrong with NASCAR today? Well, that could take all night, but here are my top picks. Kenny Wallace Driver Diary: Racing, Making gains, and Oh, Hail! May 29, 2008 Amy Henderson, Xfinity Comments Off on Kenny Wallace Driver Diary: Racing, Making gains, and Oh, Hail! On Mother’s Day, we had just gotten home--we had taken my Mom and Dad and Kim’s Mom and Dad out to eat and then we went to see a movie. After that I got in the house and turned on the TV and had on the local news, which I almost never do; I’m always watching the national news. And what happened was they said there were 60 mile an hour winds and tornado warnings. I hadn’t heard anything about hail. All of a sudden I looked outside and I could see it coming. Right over my house came the tornado and an incredible, the most mind-boggling, hail storm I’ve ever been through in my life. We actually tried to run out and rescue our cars and run them down to the garage, but the hail was bigger than golf balls, literally, and we were getting knocked out. It was breaking the windows on the cars and destroying the shingles on the house, and we’ve got pictures of our swimming pool, it looked like an ocean. I was reading through some old (and not-so-old) racing columns and found one that I wrote last year that got me thinking. Actually, it was the comments that I got that got me thinking. I wrote about some of the issues that were making NASCAR less than popular with the fans. 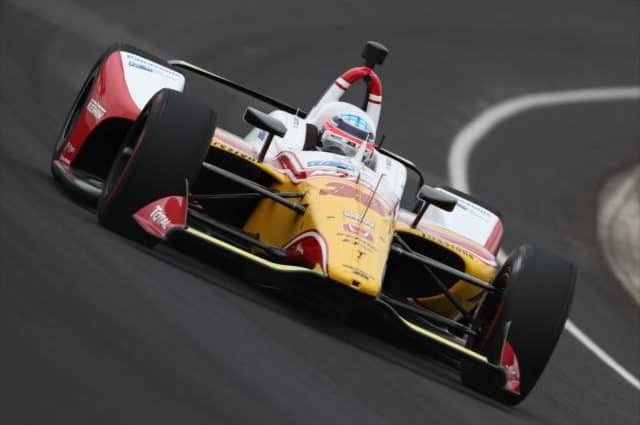 You can read about them "here":https://frontstretch.com/ahenderson/11496/ if you really want to. But it isn’t necessary. What really piqued my interest was a comment that, in a nutshell, blamed about 95% of the problems in NASCAR these days on Dale Earnhardt, Jr. 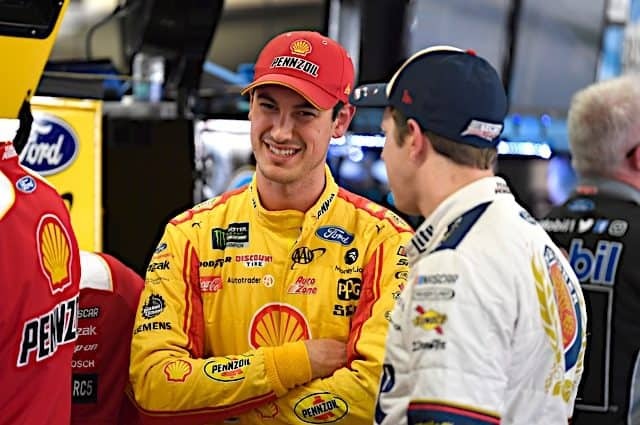 Apparently, NASCAR lets Junior run rampant in the garage and on the track, giving him cautions for the asking and, more or less, fixing the races for his benefit or for any other outcome they would like to have. OK, let me get this off my chest: the NASCAR universe doesn’t revolve around Junior. It’s the unofficial start of Summer, but things heated up weeks ago in the NASCAR world. Much of the swirl of discussion has been predictable-what driver will go where, who is living up to expectations, when will Junior win-the same things that go around every summer. But there are a couple of stories that came to light just this week that have me scratching my head. While the other happenings and musings are interesting, what happened this week will have repercussions for the remainder of 2008 and, in two related cases, far beyond. 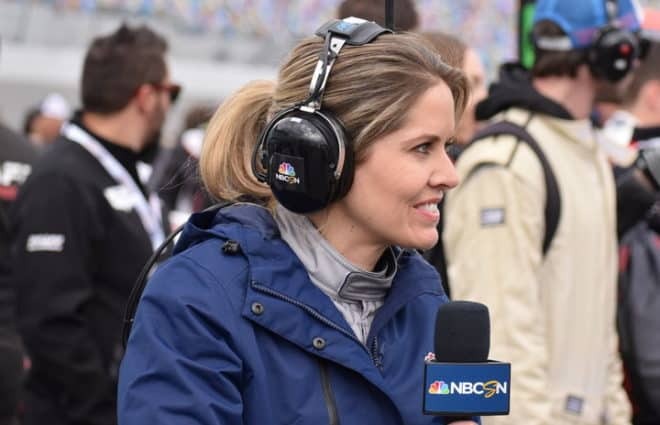 *Amy Henderson, The Frontstretch: Gillett Evernham Motorsports seems to be in the middle of a rebuilding year. What are you in the middle of working on as a driver? What has changed so far, and what are you still working on changing? * Elliott Sadler: We’ve just tried to add a little more depth to our team, and we are rebuilding some things. We’re definitely running better; we’ve just had some bad luck the last couple of weeks that just killed us in the points. But we’re running well, and we’re way more optimistic going to the racetrack each and every weekend. We’ve still got some little things to do to catch up with Hendrick, to catch up to Gibbs and to Roush; but we’re definitely making some headway. And we’re definitely a lot better than we were last year... so that’s a great thing. We feel like we can turn the corner here any second.